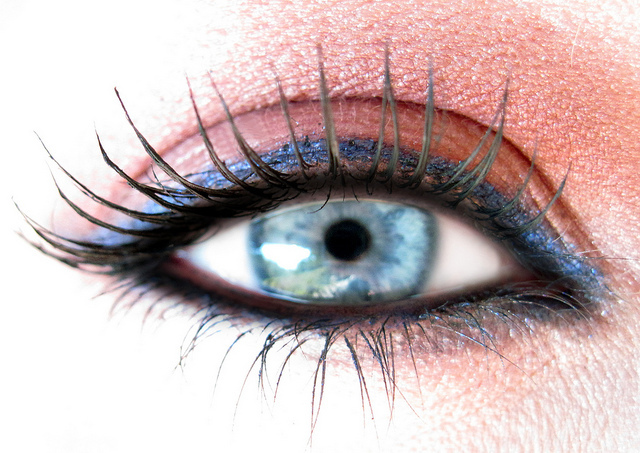 Many women like to enhance their looks by applying fake eyelashes to their eyelids. Longer, fuller lashes used to be achieved solely by using mascara, but these days, it’s far more common to use fake lashes plus mascara to get voluminous eyelashes that look great in photographs and on video. And with so many television personalities, as well as celebrities and makeup artists, using fake eyelashes, more women are using them every day as well, whether they’re heading off for an important meeting for work or going out with friends in the evening. Despite how beautiful artificial eyelashes can make you look, however, and how inexpensive they are and how easy they are to apply, there are some dangers involved with using this makeup trick. Read on to learn what the dangers are so that you can decide whether or not the fake eyelashes are really worth it and also to find ways of avoiding these common mistakes that can lead to injuries. False eyelashes are applied using synthetic glue. They can then be worn for hours before they’re easily removed by peeling them off of the eyelids. But the problem is that long-term use can actually cause you to lose your natural lashes. Many women end up with gaps in their eyelashes that never fill back in. This requires them to continue to wear eyelashes perpetually in order to cover up the missing hairs. In order to avoid this problem in the first place, only use false eyelashes for special occasions rather than every day. Using them every day can result in damage to your natural lashes because of the artificial adhesive that you’re continually applying to the eyelid. Also, having to strip away your false lashes each night may cause some of the adhesive to take some of your real lashes with it. Therefore, use caution when applying and removing the false eyelashes, and only use them in moderation whenever you feel that they’re really necessary. If you don’t really need to wear them every day, give your eyelids and your natural lashes a rest. If you stop using the false eyelashes for a long period of time, you will most likely see that your real eyelashes begin to grow back and fill in any gaps that may been caused by overusing the false lashes. In addition to causing your natural lashes to fall out, the next major drawback of using artificial lashes is the fact that they can harm the delicate skin on your eyelids. Removing them each night means the artificial glue will be peeled off the skin every time, and this can lead to irritation. Also, the synthetic glue itself may result in eyelid irritation. It is much more likely that you will suffer from irritation if you do not remove your lashes before going to bed at night. To reduce the risk of eyelid irritation, use a glue that is safe for everyday use and remove your lashes before getting ready for bed each night. Samantha George is a beauty therapist and often visits www.worldsend.co.uk to check out their latest range of natural products.